Nolitan Hotel New York City, Hotel null. Limited Time Offer! The Nolitan. Hotel "The Nolitan" has received 3 stars. The accommodation is a perfect pied-a-terre for visiting New York. This accommodation consists of 55 rooms. Thanks to the air conditioning, the room temperature is never uncomfortable. For guests who appreciate sporting activities, this accommodation offers yoga. Furthermore, the residence boasts a gymnasium where guests have the option to train on their own. Guests can sign in for a relaxing massage. There is no need to go out for dinner as there is an onsite restaurant. After a good night's rest, you can enjoy a continental breakfast. Internet access is offered free of charge. 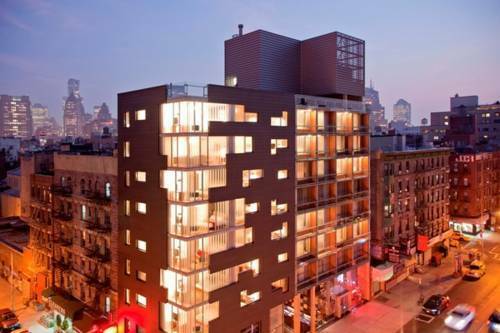 The Off Soho Suites Hotel is located in New York, N.Y., less than one mile from Chinatown and Greenwich Village. Soho, Little Italy and the Lower East Side are less than one half mile from the hotel.